In the Opening Prayer on June 22, we pray, “Give us the courage to proclaim our faith by the witness of our lives” (Sacramentary). 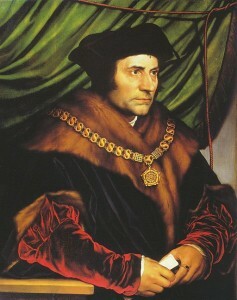 Thomas More was a man of great faith and courage whose life shows us what it means to be a witness to our faith. Thomas was born in London in 1478. He became a lawyer and a member of the English parliament. Because he was so well educated, he was a tutor for King Henry VIII when he was young. In 1529, Henry appointed Thomas the Lord Chancellor of England. 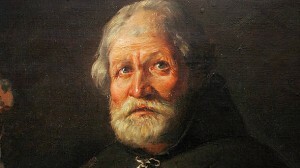 Thomas was married twice and had four children. King Henry wanted to divorce his wife and marry another woman. The pope would not give his approval. Henry expected Thomas to take his side, but Thomas also refused, and he resigned his position in 1532. King Henry decided to separate the Church of England from the Catholic Church in Rome. He ordered parliament to write a document naming him the head of the Church of England. This document was called the Oath of Supremacy. Henry demanded that all the bishops in England and his entire government sign the oath. Thomas refused. He knew that the pope was the successor of St. Peter and that there could be only one pope. King Henry was furious. Thomas was arrested and imprisoned in the Tower of London for fifteen months. He was found guilty of treason against the king and was sentenced to death. 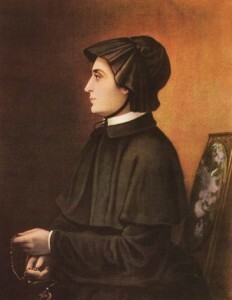 He died on July 6, 1535, and was canonized in 1935, along with his friend, Saint John Fisher. We honor St. Thomas More as a person of courage. He lived the moral virtue of fortitude. He courageously defended his faith. We can follow Saint Thomas More’s example. We can be witnesses for our faith in Jesus and his Church through our daily words and actions. 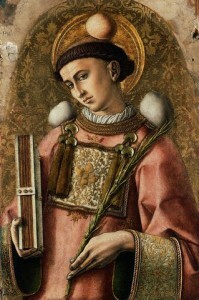 We honor him as a patron saint of lawyers and politicians.